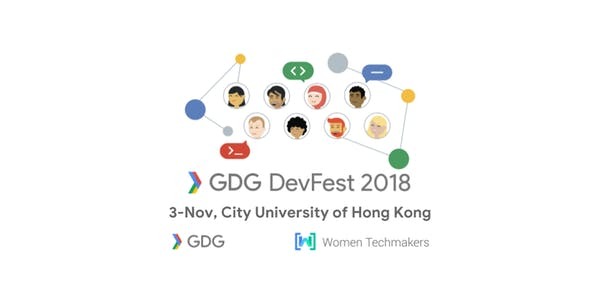 GDG DevFest, our annual developer conference for the developer community, will be held on 3-Nov in City University of Hong Kong. This year, we have one more track compare with last year. We have 4 tracks and over 16 sessions covering areas of Cloud Technologies, Machine Learning, Mobile, Web, and more. Not only more sessions for more people. We understand a healthy ecosystem cannot be just formed by us. So, this year, we also bring Women Techmakers with us. To bring the same message to the young developers, and beyond the limit of genders.